Start of June...things to note! Join us as we venture to TV Hill for a tour of the KEYT station! Everyone will get an exclusive look behind the scenes of our local news station. We will get to see how news stories go from our streets straight to our living rooms. We will get to meet Alan Rose, chief meteorologist, and hopefully other local celebrities! It should be a great time. RSVP to either Juliana or Teresa by Monday, June 7th @ 5 pm! The topic for this week stems from Memorial Day, which will be observed in the US next Monday, May 31st. 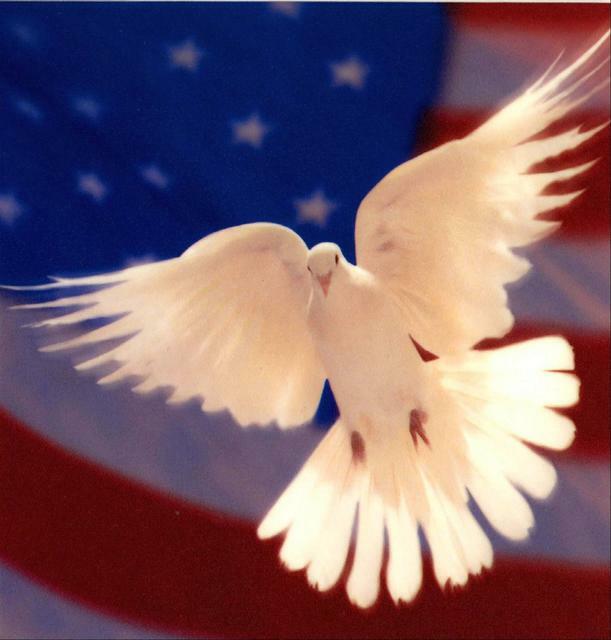 It commemorates those men and women who have died while serving our country. Does your mentee know what Memorial Day stands for? Or do they just think of it as a day off from school? Do they understand that it is to remember people who have been lost in war and that those people are brothers, sisters, mothers, father, aunts and uncles? Have they ever lost someone in their life that they cared about? What do they do to remember them? Would they like to do something on Memorial Day to commemorate what they meant to them? Jody Snyder Haynes, Executive Director of Paso Tranquillo, joins us to talk about the Signs of Alcoholism & how it can affect the family and your mentees. Jody has worked in the field of addiction and recovery since 1996. 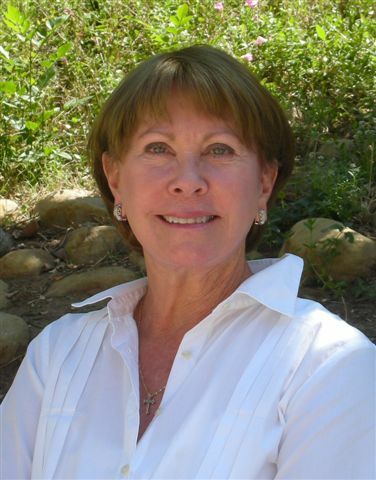 As a licensed psychotherapist she has been a provider for Santa Barbara County Mental Health, Department of Alcohol and Drugs, and Clinical Director for Casa Serena of Santa Barbara. 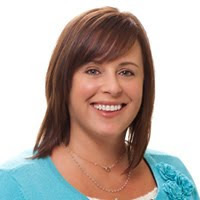 While maintaining a private practice she was the Regional Clinical Director for Aegis Medical Systems of Santa Barbara, teaching relapse prevention skills to dual diagnosed patients. RSVP no later than Monday, May 24th at 5 PM to either Juliana or Teresa. Join us for a training led by Christy Haynes, Teen Services Coordinator for Domestic Violence Solutions for Santa Barbara County. Christy has worked and advocated for teens in school and agency settings for the past 20 years, creating and implementing programs focusing on violence prevention, conflict resolution, anger management and personal development. She has worked with teens in junior high and high schools, Juvenile Hall, Probation, Community Counseling and Education Center, as national facilitator for The Joseph Matteucci Foundation, and as executive director of re:solutions. Christy received her Master’s Degree in Psychology in 1999 at Antioch University, Santa Barbara, with a special focus in Community Psychology. Christy will help us learn to identify the signs that could be a potentially dangerous living situation for our mentees and/or their family. She'll also help us know how to talk with a youth who maybe has a history of violence in the home, and how to talk with them about these scary situations. RSVP no later than Monday, June 7th at 5 PM to either Juliana or Teresa. Next week marks the start of the 2010 "Click it or Ticket" Campaign. The cost of an adult seat belt violation in California costs $142, and up to $445 for not properly restraining a child under 16. If the parent is not in the car, the driver gets the ticket. This effort is all to ensure the safety of those in the vehicle. For more info, check do a Google search and type in "click it or ticket california 2010". The first result is a Word document with a bunch of Q & As. 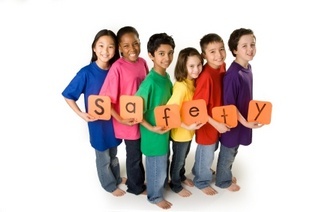 Ask your mentee what he or she does to stay safe. Are they buckled up when they're in a car? Do they feel safe walking or biking or riding the bus to/from school? Do they feel safe playing in their neighborhood? What could they do to be safer? Do they use their bike helmet? Do they use crosswalks? Are they out late at night without a flashlight? Do they walk around with their electronic devices out in the open, so they can easily be taken from them? Open the discussion. See what grows. Happy learning! April Mentor of the Month: Oscar Flores! It has been about a year and a half since Oscar Flores and his mentee first began meeting, and their relationship has only grown stronger. His mentee has an unstable family life. He is being raised by a single mom with two significantly older brothers who have a history of getting into trouble with the law and being involved with potentially harmful groups of people. Fortunately, one of them was referred to the Mentor Program when he was in Junior High and is now on the right path. When that brother's mentor realized the difficult situation at home, he told Mentor Program staff he would really like to see the youngest get a mentor. That was a couple years ago. He was given a mentor, but that mentor had to move shortly after being matched. Enter: Oscar, who knew that he would be stepping into a difficult situation. His mentee struggled with abandonment issues, and therefore had a hard time opening up. Oscar was patient, and strove to show his mentee that he would be a strong support. Over the course of several months, and after hearing Oscar share some of his own personal stories, his mentee began to open up about his problems, struggles, and school issues. Oscar’s mentee may have begun as a 4th grader at Roosevelt Elementary with a dislike for reading and books, but all of that has changed after meeting Oscar. Through dedication and determination, Oscar influenced his mentee to share his love of reading by exposing him to different genres of books. Now his mentee not only loves reading but has even begun his own personal library. Oscar and his mentee enjoy going to the movies and are currently reading Lovely Bones and trying to figure out the differences between the movie and the book. Oscar has been gone above and beyond as a mentor and influence and he has earned the title of “other brother” in his mentee’s eyes because of it. His mentee now has a positive adult male after which to model himself. Great Job Oscar! Next Week (May 17th to May 21st) is National Bike to Work week, with National Bike to Work Day on May 21st! Santa Barbara will be celebrating with Bike to School and Work Day on the 18th. This is all in an effort to reduce our carbon footprint. Why not ask your mentee what he/she does to make this world cleaner/ more liveable? What’s one thing more that they could do? Why is it important? 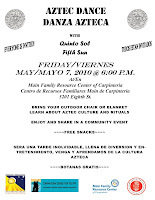 In celebration of Bike FROM Work Day on May 18th, you should stop by State Street between De La Guerra and Ortega to watch a free BMX show @ 5:30 & 7:30, enjoy live music, FREE Chino's Tacos, and a raffle for a new commuter bike!! Check out the flyer for more information!! A complete list of all May activities!!! Because there's just so much going on!! They need your help, and being the helpful community citizens that you are, I hope you’ll sign up if you’re able! To volunteer please contact mentor Katya Armistead: Katya.Armistead(AT)sa(DOT)ucsb(DOT)edu or Debra Roets with FSA for more information: (805) 965-1001 x222. See the website (www.wheelsandwaves.com) for more details. In short, this is a “play about self-identity and the realities and unrealities of teens in Santa Barbara”. 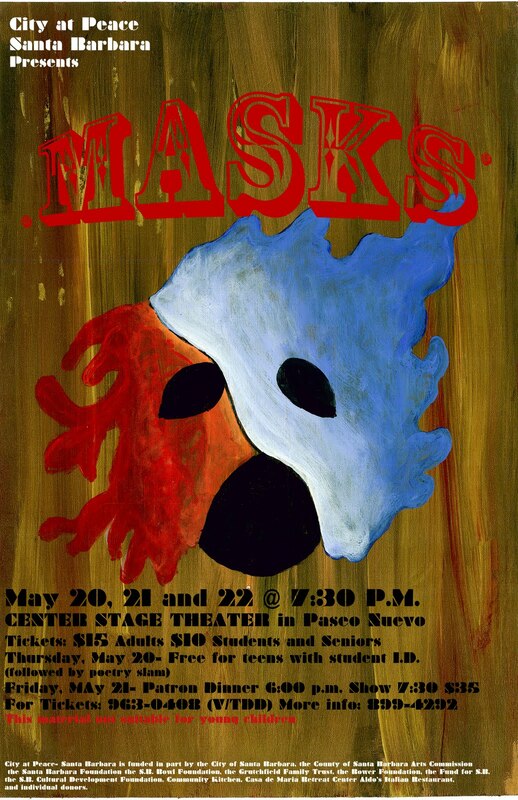 It’s entirely written and performed by a group of local junior high and high school students. **If you want to attend this play with your mentee, please let your case manager know. We will fund your ticket if you attend on Thursday night, and fund both of your tickets if you go on Friday or Saturday night. Yes, we care that much. 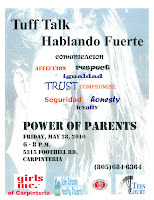 This is not just for Carpinteria…it’s an opportunity for all caring adults to hear about real issues faced by youth in the community. Topics include: Bullying, Sexual Harassment, and Parent Enrichment. You can learn how to best communicate with your kids and open the dialogue about these important issues. There will also be a special performance by the Los Prietos “Drama Kings”. Bring your mentees along with you to let them know you are ready and willing to discuss these topics with them! You can also encourage your mentee's parents to attend! If you need childcare your young ones, it will be provided free of charge. Artists use pastels on pavement to create beautiful large scale pieces of artwork to benefit the Children’s Creative Project. You can also go anytime before then that week to watch the artists begin their creations or anytime after the festival until the weather wipes the paintings away. Maxt Out is an innovative, professional dance competition and showcase consisting of over 1,000 dancers from all over California. This resilient and unwavering dance competition has set the standard for elaborate dance competitions and showcases in the Los Angeles area. Maxt Out aspires to create a dynamic experience for all ages with exhilarating entertainment by utilizing diverse musical selection and choreography. By inviting a high level of aspiring talents and established professionals as well, Maxt Out continues to create a positive and inviting experience for all through dance, choreography, competition, and music. Maxt Out Dance Competition is open to all dance crews and choreographers willing to compete. Each dance crew and choreographer uses the elements of hip hop, street, break dance, etc as inspirations to make their routine. Maxt Out also offers the ability for dance crews and choreographers to exhibit their talents in our exhibition division. These dances do not compete. They simply bring their talented dancers to show what they’ve been working on give a great show for our guests! Maxt Out is produced and directed by Joanna Vargas of JAYVEE DANCE Productions, INC. Maxt Out began in 2001 in Los Angeles at the El Portal Theatre in North Hollywood. Since then, Maxt Out has grown from 100 dancers to over 1,000 competitive dancers from ages 7 to adult. Maxt Out began as an adult dance showcase featuring choreographers and dance crews from all over Southern California and now has grown to an all ages dance competition with a Minor division for juniors and a Major division for adults. Maxt Out Dance Competition offers two different competition dance divisions; Crew Division and CHOR(Choreographers) Division. Dancers and choreographers have the ability to compete in many different competition divisions and styles of dance at Maxt Out. Tickets are FREE to the first 10 mentor/mentee pairs to RSVP with either Juliana or Teresa. 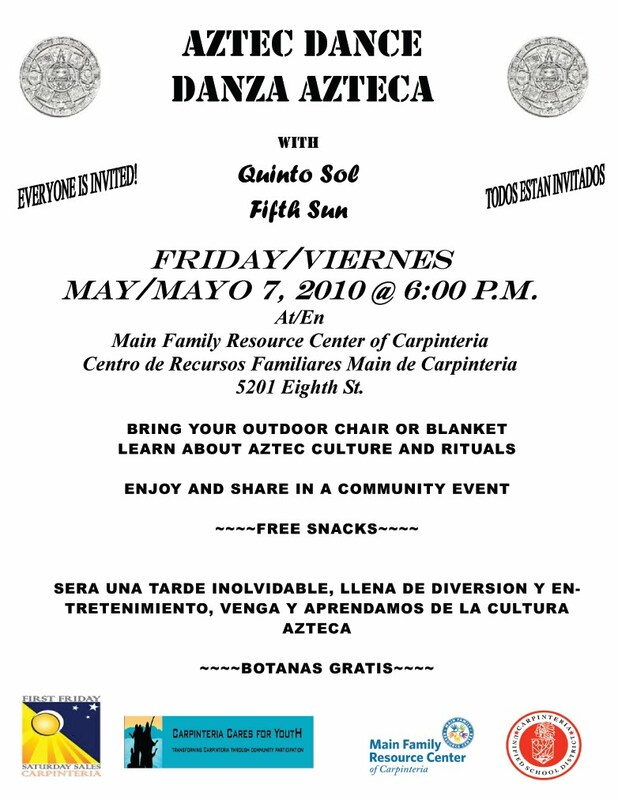 RSVP deadline is Friday, May 14th @ 5 pm. Trip to the Carpinteria Seal Rookery! **Exit 101 at Bailard Ave. in Carpinteria and turn towards the ocean. Keep driving into the parking lot. One of the most interesting secrets of Carpinteria is the Seal Preserve. 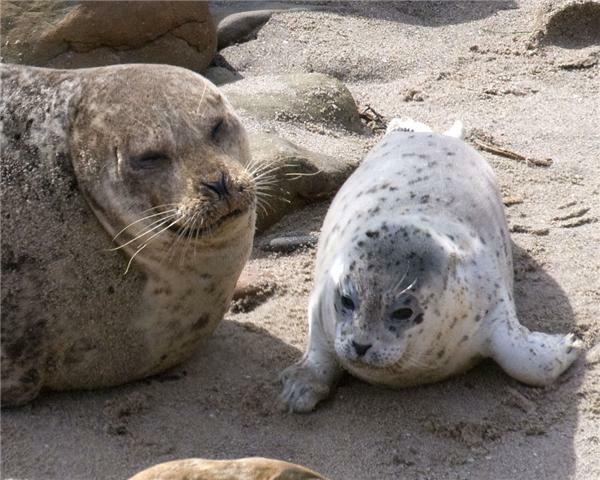 The Harbor Seal Preserve is home to almost 100 adult seals who give birth to their cubs on the Carpinteria shoreline. The beach is closed 750 feet on either side of the rookery (as their nesting area is called) from December through May. We'll walk together to the bluffs above the preserve and a docent will talk with us about why there is need for a protected area, we'll see the newborn pups, and enjoy a nice walk...it's about 10 minutes from the parking lot. RSVP to Juliana or Teresa no later than Tuesday, May 18th @ 5 PM! Bowl to Benefit Santa Barbara's Teen Court! Community members and organizations have donated money in support of Santa Barbara's Teen Court. This means that they have sponsored lanes to allow our youth to bowl who are involved with CADA youth programs, including the Mentor Program. So far we have one lane available to us, which means that 5 mentees can bowl for free!! Mentors, you won't have the chance to bowl yourself this time, but don't worry, we will have a bowling event in the summer in which you can participate! Spots are available on a first come, first serve basis. RSVP to your case manager! We will take a waiting list in case other spots open!